The secret is out! Secrets Shhh is one of Australia’s leading fine and fashion jewellery brands located at the Royal Arcade Melbourne that has been inspiring women with their beautifully made pieces since it was founded 15 years ago. Driven by a passionate team, the brand offers jewellery lovers in Australia and the rest of the world the chance to own exquisite pieces in vibrant colours and playful designs. These pieces are perfect to wear with your favourite sundress and wide-brimmed straw hat, or your tailored pantsuit for the office – there’s bound to be a piece that complements every outfit. The label recently took part in the Vogue Fashion Night Out event that is part of the Melbourne Spring Fashion Week this year. 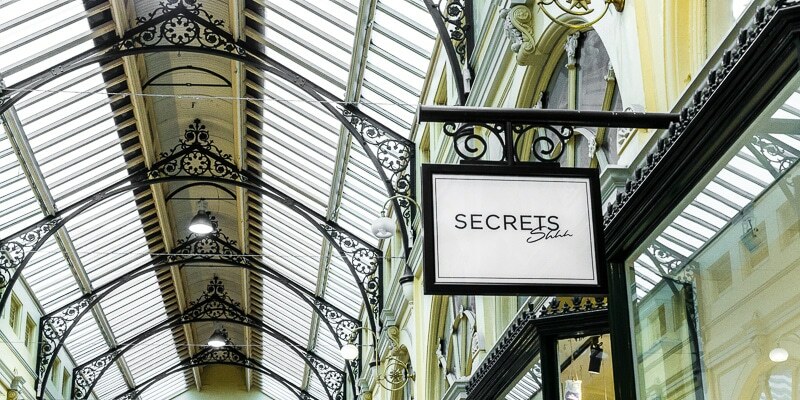 Secrets Shhh store had a night of celebration at their Royal Arcade Melbourne CBD store offering visitors an exclusive preview of Spring/Summer 2015-16 Resort collection and a special VIP offer on selective items. The event is growing every year and it is shining a positive light on the local talent. Vogue Australia editor-in-chief Edwana McCann previously revealed in a statement that the event was going to be a night to remember, and a fantastic chance to shop like a Vogue VIP – and she was right! There are a lot of reasons to love Secrets, and their new Spring/Summer 2015-16 Resort collection is definitely one of them. It’s bound to impress even the most fussy woman among as, as it features both fine jewellery and stunning statement necklaces – ensuring that there’s a piece to suit every taste and style preference. The collection draws inspiration from global colour trends. Inspired by the brand’s birthplace in the beautiful Noosa region of Queensland, the designs are inspired by Noosa’s picturesque backdrop – pink sunsets, breathtakingly beautiful beaches and pristine aquamarine waters. Noosa is well known for being a magical resort destination, and the collection encapsulates this perfectly. In fact, Secrets Co-Founder and Managing Director, Jane Meredith, put it best when she described the inspiration for the designs, and how they should make the women wearing them feel empowered while looking gorgeous. “This season we want women to feel empowered wearing beautiful limited edition designs. The product development team has delivered quality and care with every piece within the Secrets Resort Collection to ensure every woman feels the same empowerment as women who wear the most expensive gemstones,” she revealed. If you want to get your hands on Secrets’ limited edition Resort Collection, it’s going to be available both in the Royal Arcade Melbourne CBD store and online from Thursday Sept 3rd 2015, and prices start from AU$95.